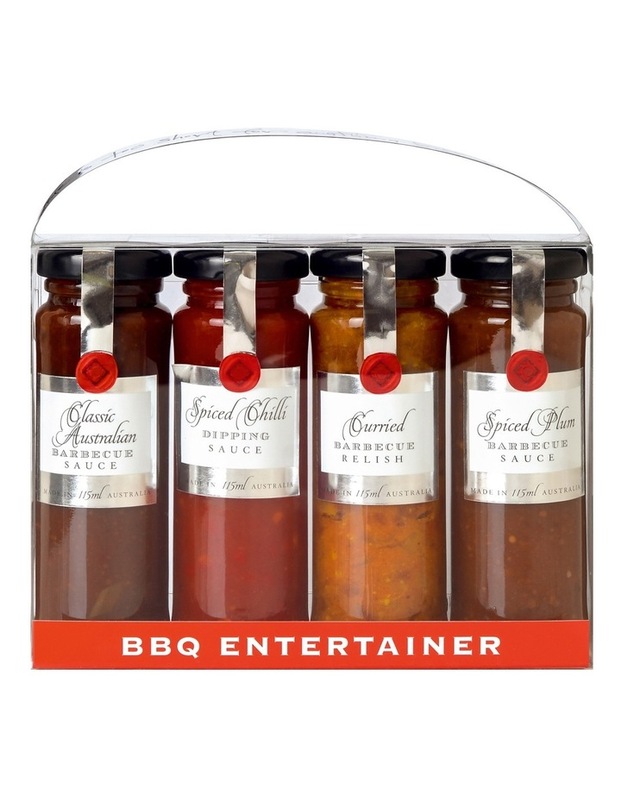 Ogilvie BBQ Entertainer Quad Pk 460ml. 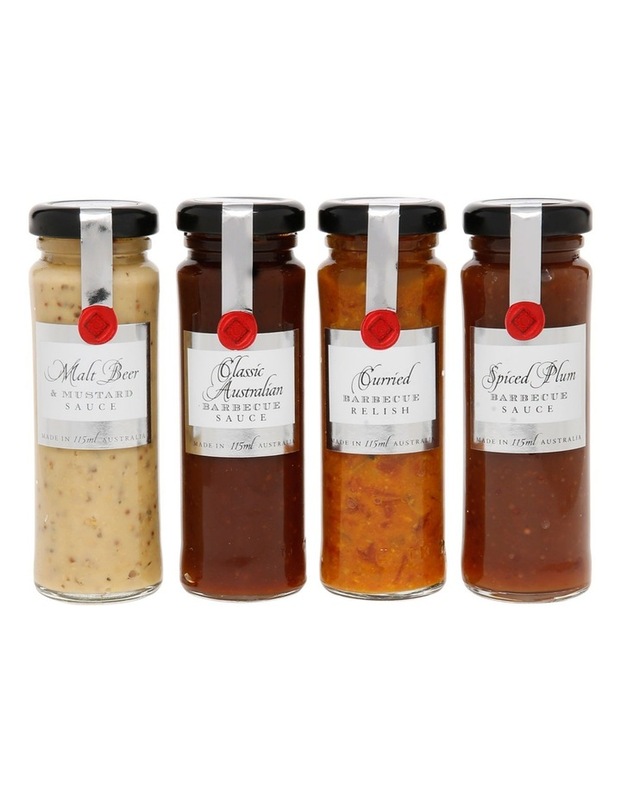 For product ingredients and nutritional information, please refer to product images. 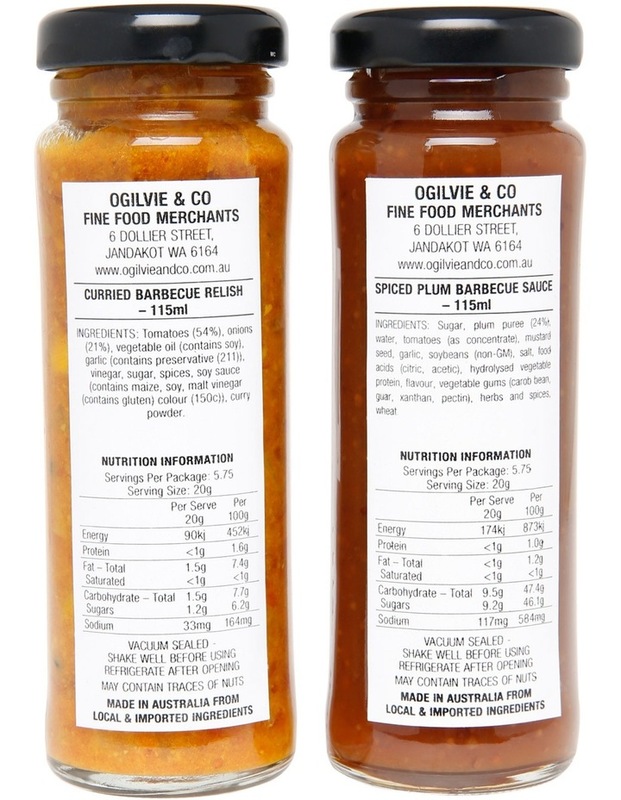 Ogilvie & Co. Fine Food Merchants is an Australian family-owned fine food manufacturer and wholesaler founded in 1987. 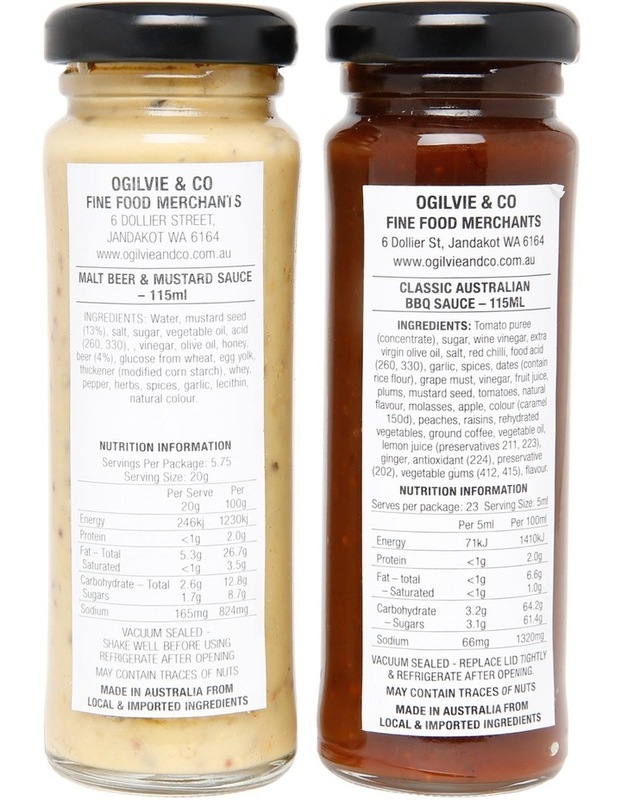 Ogilvie & Co. products are manufactured using premium ingredients combined with a lot of love and presented with that seal of distinction.